You can start using Art and Antiques Organizer with the data templates included in the software. If the template already created is not exactly what you are looking for you can easily create a new one with Organizer's Designer. 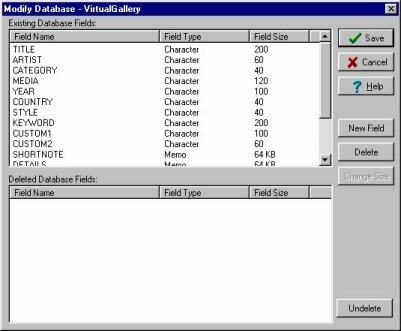 Quickly define or modify structures for your art and antiques databases with Designer Deluxe.